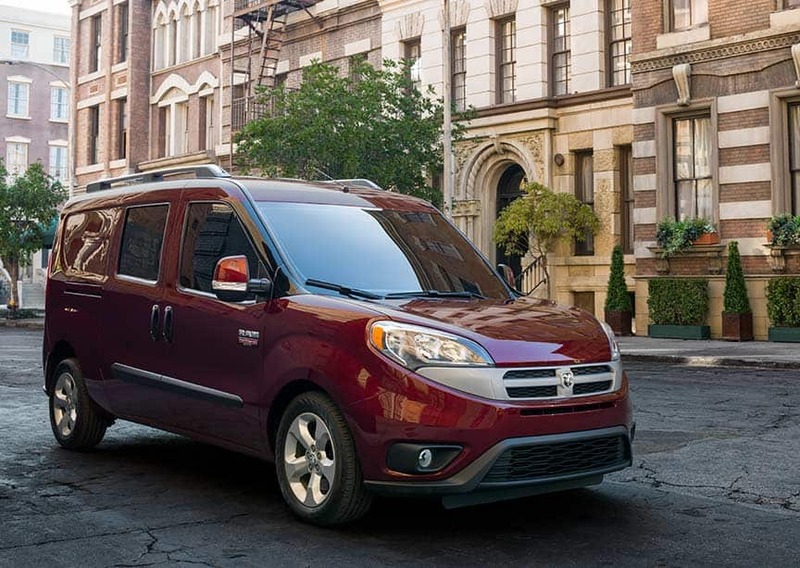 The RAM ProMaster City is a fresh face in the United States. It takes on competitors with a European approach to the cargo van, giving it an otherwise unseen approach in the US. It delivers a payload and cargo capacity that can't be beaten by any other competitor in the class. 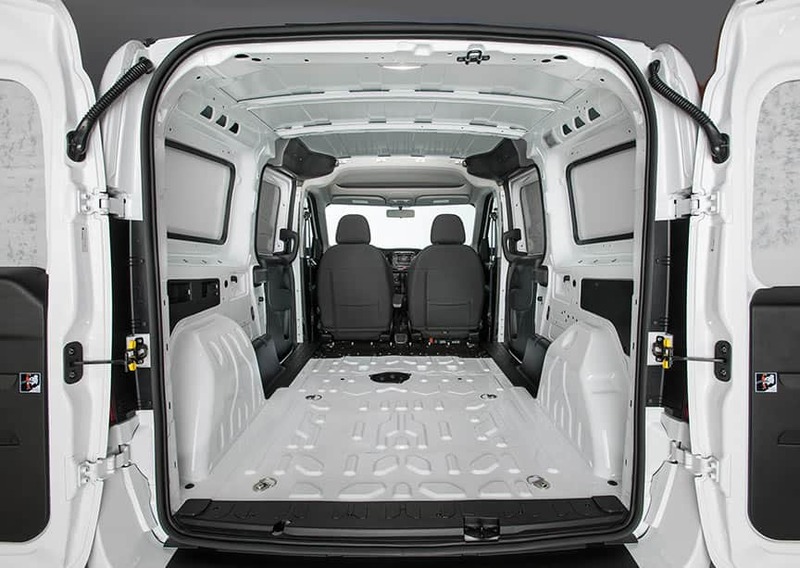 You can opt for the massive cargo room of the ProMaster City Cargo or a five-passenger, two-row ProMaster City Wagon. The ProMaster City tops competitors with its powerful four-cylinder engine. This year, the interior received brighter shifter illumination and rear-door reflectors for improved visibility. For a small business owner, the 2017 RAM ProMaster City is the best choice around. 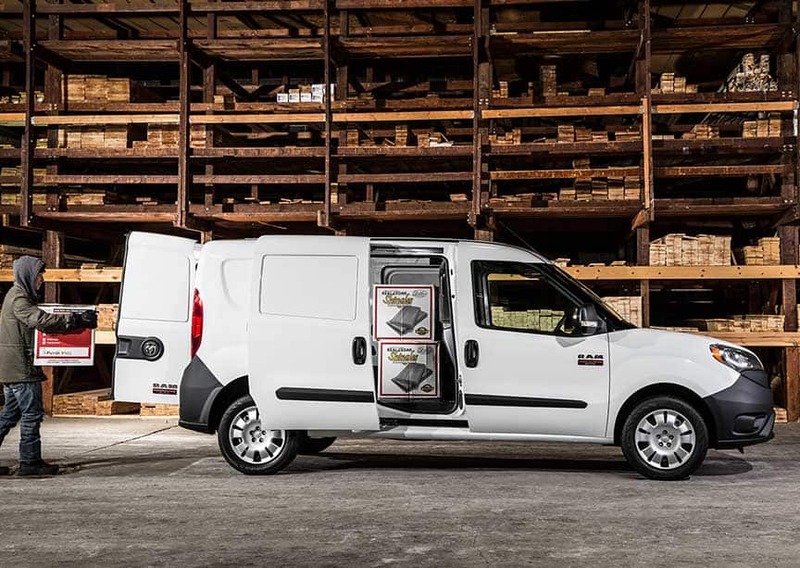 The ProMaster City has been described as "urban nimble." This is because of the ProMaster City's maneuverable and small package. It drives smoothly and its powertrain gives it ample power. Under the hood is a 2.4-liter Tigershark four-cylinder engine. It's linked up to a nine-speed automatic transmission that powers the front wheels. Together, this powertrain produces 178 horsepower at 6,400 rpm and 174 lb-ft of torque at 3,800 rpm. This is a very impressive figure for the compact van class and places the ProMaster City at the top of its class for power. For fuel economy, the EPA estimates a rating of 21 city/29 highway. This also earns the ProMaster City the best-in-class rating for fuel economy. Finally, the 2017 RAM ProMaster City also is rated for the highest payload in its class-1,833 pounds. Additionally, when properly equipped, the ProMaster City can tow up to 2,000 pounds. There are two configurations for the 2017 RAM ProMaster City. First is a cargo-oriented van, with space for two passengers in the front seats. In the back, you'll get a class-leading 131.7 cubic feet of cargo room. It has two trims: Tradesman and Tradesman SLT. Second is a Wagon, boasting a five-passenger configuration that adds a second row of seats. It comes with two trims as well: base and SLT. In the base and Tradesman, you'll get Bluetooth, keyless entry, a four-speaker stereo, an overhead storage bin, air-conditioning, a tilt-and-telescoping steering wheel, cloth upholstery, power front windows, and 16-inch steel wheels. In the base Wagon, you'll also get a 60/40-split folding rear seat. Opting for the SLT version of either configuration will add on an auto-dimming rearview mirror, cruise control, power-adjustable, heated mirrors, body-color mirrors and bumpers, privacy glass, a Uconnect 5.0 touchscreen interface, driver lumbar adjustment, and upgraded cloth upholstery. Option packages available include the Popular Entertainment group, the Lights and Wheels group, the Rear Back-Up Camera group, and a towing package with a Class III hitch. What is the payload for the 2017 RAM ProMaster City? How many exterior paint color options are there for the 2017 RAM ProMaster City? RAM keeps you safe by providing every ProMaster City standard with traction and stability control, antilock brakes, a driver knee airbag, front-seat side airbags, side curtain airbags, trailer sway control and rollover mitigation, and hill start assist. Optionally, you can also add in rear parking sensors and a rearview camera. For a compact van that can assist you with any business or commercial need, the 2017 RAM ProMaster City deserves your attention.